We was blissfully unaware that last week was chocolate week, so forgive us as we play some catch up this week. 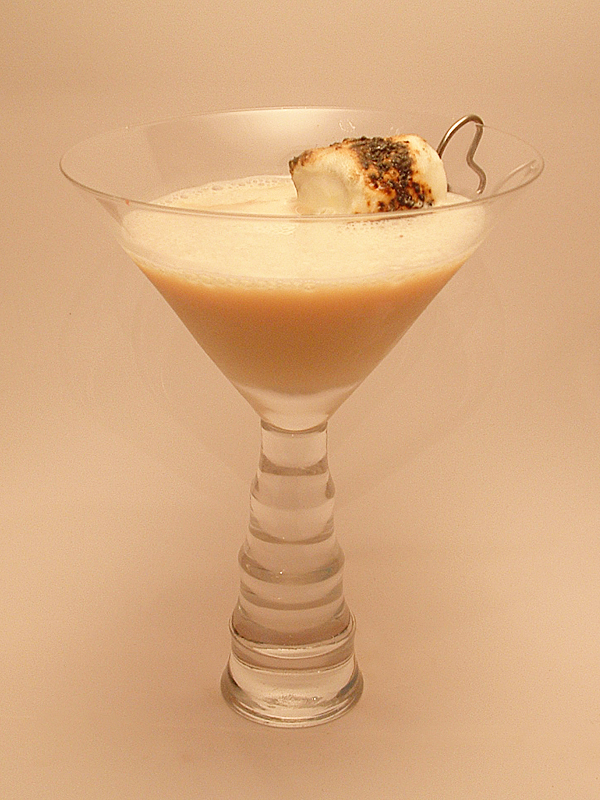 We found this drink on the Domestic Sluttery blog, and it sounded too good to not try. The name describes it all, it turned out to be a an almost perfect blend of chocolate and hazelnut tastes. 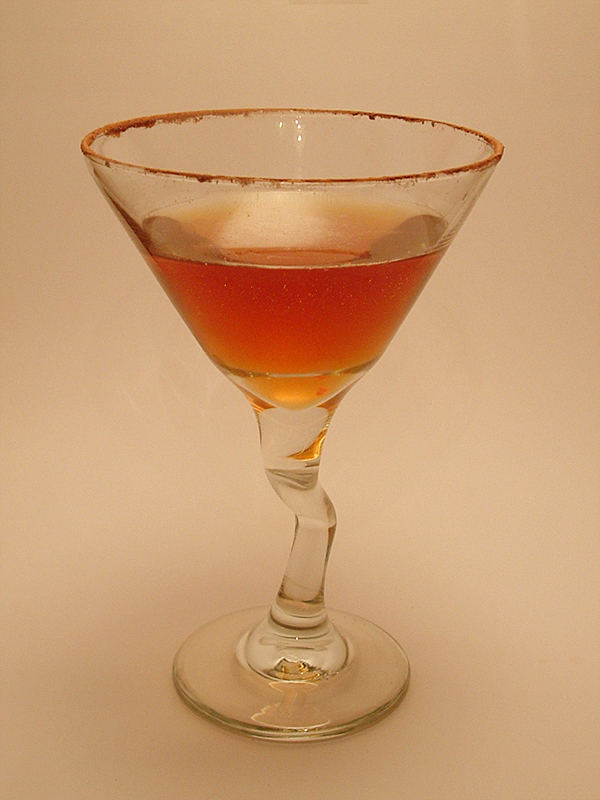 Wet the rim of a martini glass and coat the rim by turning it upside down and rotating it in a shallow dish of cocoa powder. Set the glass in the freezer to chill. Combine the rest of the ingredients on a cocktail shaker half-filled with ice. Shake then strain into the chilled cocktail glass. C is for Cookies! Oh, and of course Cocktails! 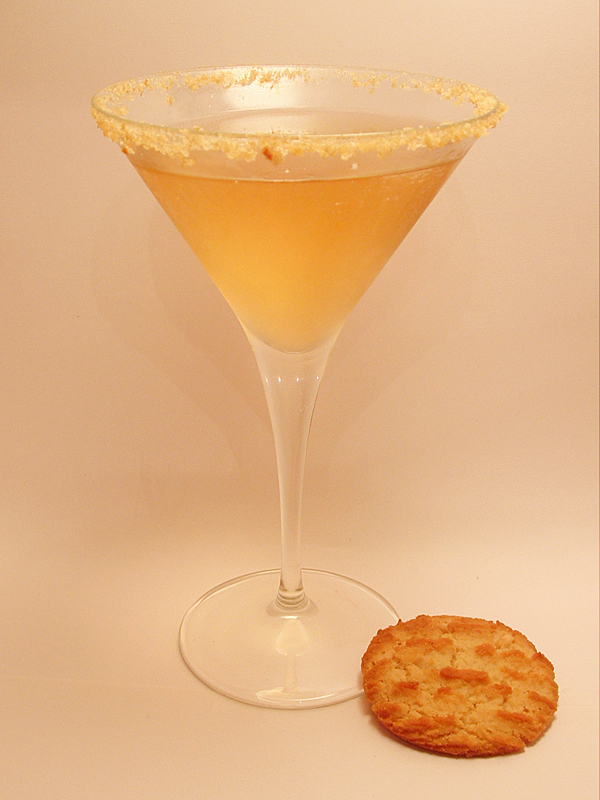 Now that I have your attention, let’s talk about our ‘new’ first favorite way to enjoy cookies, in cocktail form. 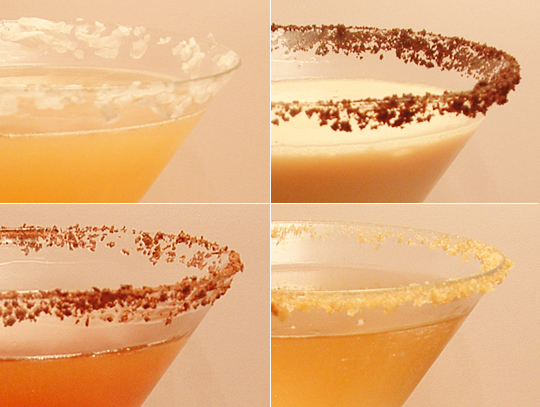 We looked around and found that the authority on delivering cookie flavored cocktails has got to be The Martini Diva. Not only does she publish hundreds of great cocktail recipes, she also provides a 5×3 recipe card illustrated by The Martini Diva herself. After some lively internal debate and an inventory of the Madtini Labs supply. We narrowed down our drinks to four, the Peanut Butter, Macaroon, Chocolate Chip and Oreo cookie cocktails. The key ingredient turns out to be Butterscotch Schnapps which provides the doughy background taste. Check out the individual recipes at the links below. Dip the rim of the cocktail glass into a small amount of the schnapps poured onto a plate, then roll cocktail glass in the finely crushed cookie crumbs. Place the glass into the freezer to chill. 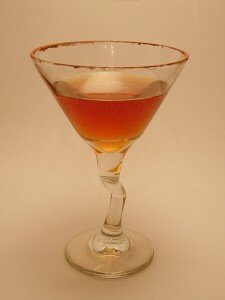 Add the frangelico, butterscotch schnapps, vodka and creme de cacao into a cocktail shaker with ice cubes. Shake vigorously until chilled, then strain into the chilled cocktail glass.